Another update on my town project! 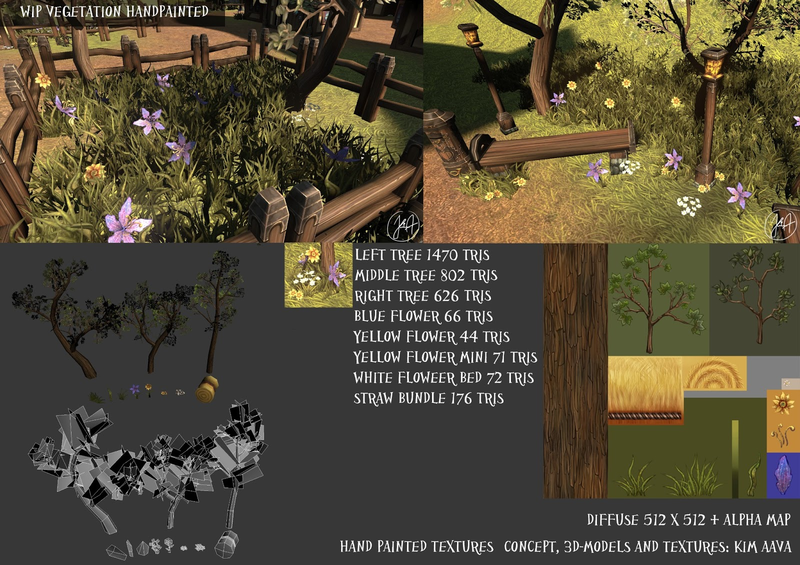 Handpainted Textures and low poly models in UDK! 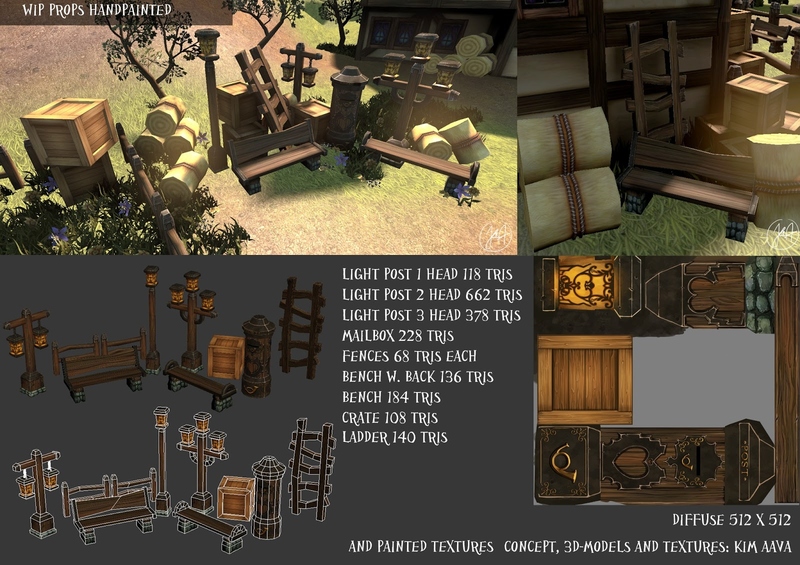 I have been working on this project for about 4 weeks, most of the time have been consumed by drawing all the textures. I have some uv-space left to use and create lightmaps. 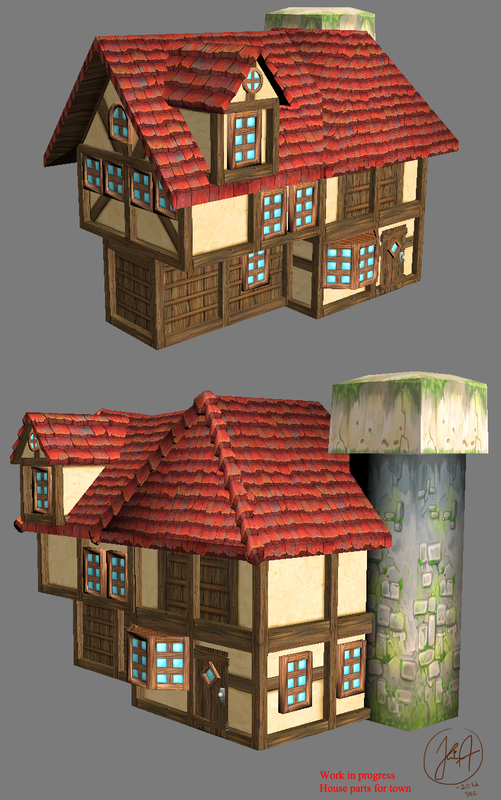 I'm currently working on a 3d project, create a town in handpainted style. a small update on part for the town.